Colton Yoast and Moffat County baseball have begun the season 3-3, which has been just good enough to put them in position for the playoffs so far. In fifth place in the Western Slope League, the Bulldogs still have work to do to stay there. 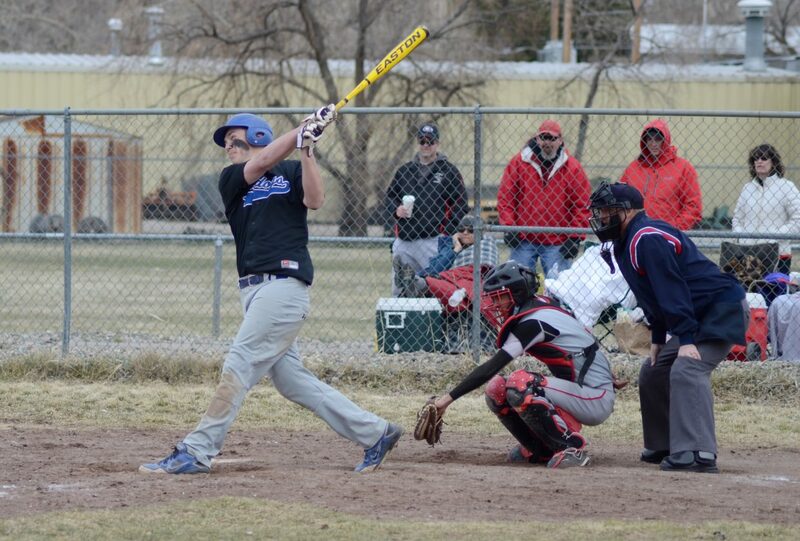 In the first wild-card points release of the season, Moffat County baseball got some good news despite its middling start. The Bulldogs are 3-3 this season in the Western Slope League and coming off two doubleheader losses to Gunnison before spring break. But in the wild-card points standings put out by the Colorado High School Activities Association on Wednesday, the Bulldogs’ start has been good enough to put them squarely in the postseason picture. Wild-card points, similar to football season, determine the seeding and placement of playoff teams at the end of the year based on a team’s results and the strength of their schedule compared to other teams with similar records. The big difference between football and baseball is football wild-card points determine a higher number of the playoff participants. In baseball, 30 of 32 playoff teams in 3A are determined by league finish, with the final two spots potentially up for grabs. In either situation, Moffat County is a playoff team currently. The WSL qualifies five teams to the postseason in 3A and Moffat County currently is fifth in the league, behind Cedaredge, Gunnison, Basalt and Olathe. In the wild-card points standings, Moffat County currently is 20th with 61.286 points, just behind Olathe and in front of Strasburg. Wins generally give a team a higher score toward wild-card points, but it depends on the level of competition. So beating a team with one win at the end of the season has similar value to losing to a team that has dominated all year. Gunnison is undefeated this season and currently ranked sixth in the wild-card standings, so Moffat County’s losses to them didn’t hurt the Bulldogs’ place among the rest like other losses might. Moffat County resumes its season with four key games after break. The Bulldogs will host Grand Valley in Craig on Thursday and then take on league-leading Cedaredge on the road two days later, April 12. One or two wins against the Bruins would go a long way in solidifying Moffat County’s position in the league, while taking both games off the Cardinals next Thursday will be key, as well, as Grand Valley has yet to win this season.